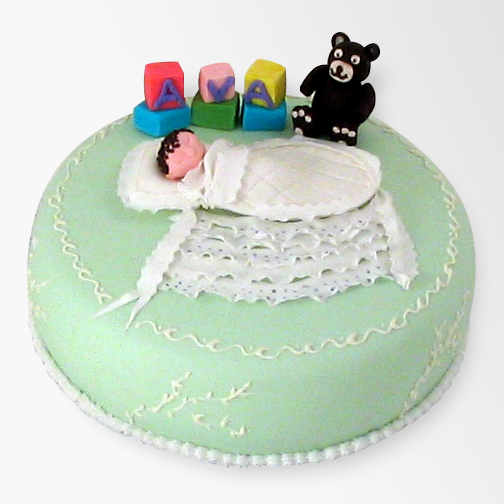 "Jen celebrated the arrival of her granddaughter Ava with this cake for the family. I loved the idea of the little teddy bear watching over Ava while she sleeps. The scene is as sweet as cake. If baby could talk, I bet she would say 'Thank you, Grandma.'"